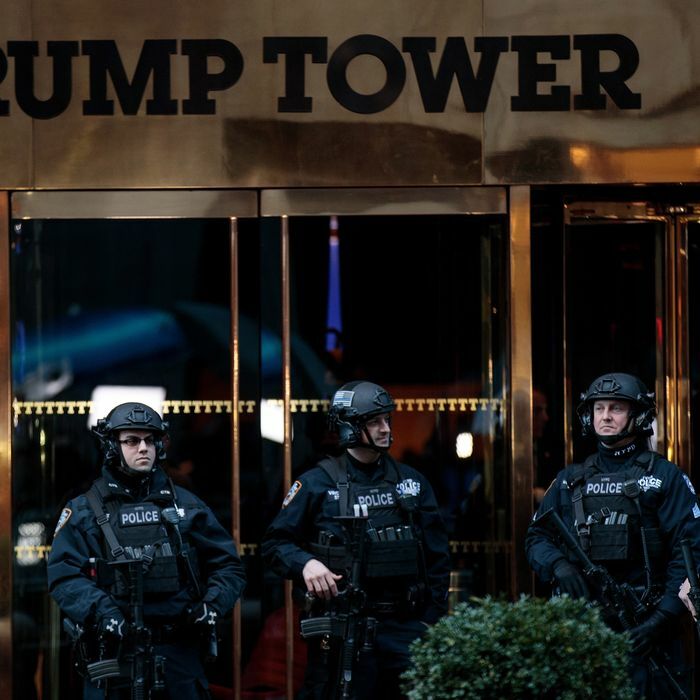 Turns out New York City slightly overestimated the cost of protecting then–President-Elect Donald Trump and Trump Tower from Election Day to Inauguration Day. The final figure comes out to $25.7 million — $24 million for NYPD operations, and $1.7 million for FDNY expenses. Mayor Bill de Blasio had estimated, and initially sought, $35 million from the federal government, which comes out to about $500,000 per day for those two-and-a-half-months’ worth of security costs. NYPD Commissioner James P. O’Neill reported Tuesday on the savings in a letter to lawmakers, whom he’s requesting help to get federal-government reimbursement. O’Neill cited analysis of payrolls, overtime sheets, and more than 25,000 patrol log entries for the revised number, which still comes out to about $308,000 day.